Coach Michael Cheika confirmed the sanction on Friday, at the same time as announcing No. 8 David Pocock was withdrawn from Saturday's test at Twickenham after failing a fitness test on his sore neck. Beale and Ashley-Cooper, who have a combined 200 caps, invited women to their hotel room after losing to Wales 9-6 on Nov. 10 in Cardiff. The Wallabies' website believed the women were Ashley-Cooper's sister-in-law and friends. But Cheika wasn't informed until Tuesday. Ashley-Cooper played his first test in more than two years last weekend against Italy, and Beale was a replacement. 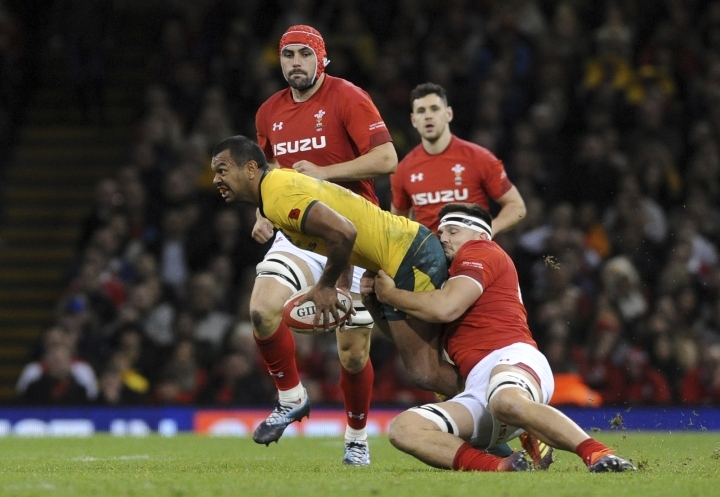 Beale, at least, was expected to start against England. "There's disappointment (from me), and they are disappointed, too," Cheika said. "It's a small error of judgment. It could be compared to not being on curfew or late for training. If we want to compete with the best, all the small shortcuts have to be gone, on and off the field. "Although this was a minor thing, I felt that if you keep a grey area there then it gets bigger, so I may as well make a stand on it and go from there. "The two of them were very apologetic, they realized their error and they have been trying to help the other players get ready for the game." Pocock's unavailability was the greater blow. England identified him this week as its biggest threat, a menace at the breakdowns. But the neck problem which forced him off against Italy in the second half, persisted. 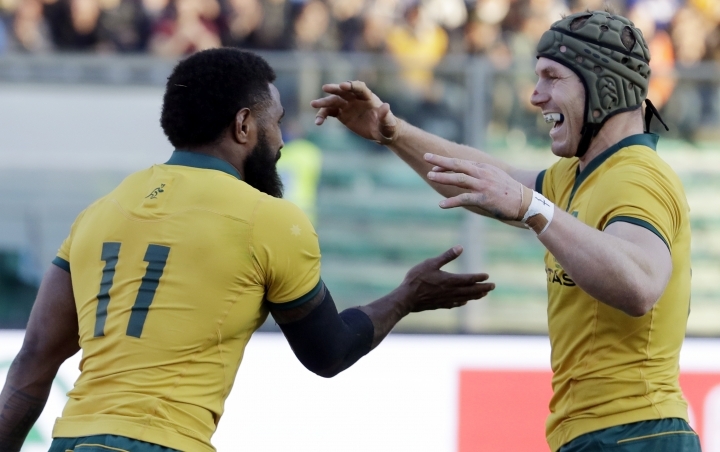 "He wanted another day, which obviously you'll afford to a guy like him because he knows his body better than anyone and had prepared better than anyone, but he couldn't overcome it," Cheika said. "And there's a bit of me that is relieved he came to that conclusion because he'd been copping it. He's been getting smashed in there."